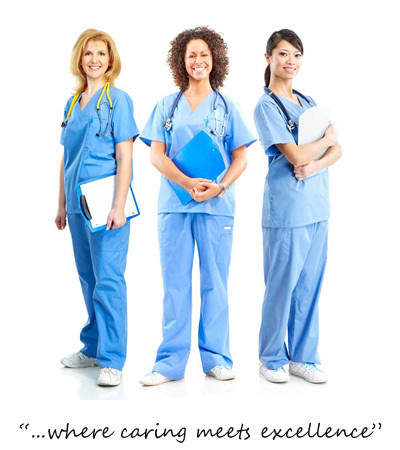 CAREmasters is always hiring Registered Nurses, Licensed Practical Nurses and Certified Nursing Assistants. We are employing PRN part-time or up to 40 hours per week. You can work in home health care, serving our clients one on one. Or you can work day, night, week, weekends in 8 or 12 hour shifts supporting our contracted partners in rehabilitation hospitals, skilled nursing, assisted living or hospice environments. If you are interested in any of the positions below, please navigate to "Becoming a CAREmaster", fill out the form and upload your resume. Alternatively you can email your resume to hrservices@caremastershomehealth.com or you are welcome to stop by our office, bring in your application and credentials, take the interview and orientation. There is a good chance that you can start working the next days. If you have any questions regarding the positions or if you want to set up an interview, please call our office at (941) 960 - 1856. We love our employees and future employees! We look forward to hearing from you! The positions below are available, please download and apply.